When was the last time you encountered a hail storm in Texas? Probably sometime this past winter, right? If so, it is time to see if there was any damage done to your roof. There are a few different ways as to how to spot hail damage on a roof, and it is important that you know whether or not you need to call your local roofer to repair the damage, or to file an insurance claim. 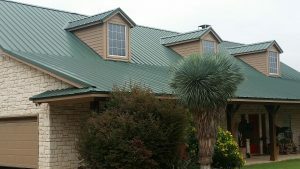 Hail damage has caused billions of dollars worth of damage over the last 2 years in Texas, many of the damage effecting roofs on residential and commercial properties. Below are a few tips you can follow to show you how to spot hail damage on a roof. Does All Hail Cause Damage? Knowing the above details will help you acknowledge how to spot hail damage on a roof and whether or not you need to get repairs made quickly to avoid bigger damage in the long run. If you notice dents in the shingles, take a closer look to see if the granules have been knocked off leaving the under-layer of asphalt exposed. Exposed asphalt means your entire roof is vulnerable to a variety of issues and further damage. Knowing whether or not the damage caused to your roof from a hail storm is cosmetically damaged or functionally damaged is crucial. If your roof has been functionally damaged and you need roof repairs, that means it is time to call someone out to repair it in order to avoid any bigger issues from occurring. 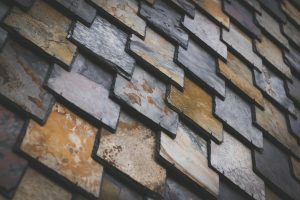 Functional damage usually suggests that the integrity of your roof has been compromised and is no longer doing its job protecting both the exterior and interior of your home. In order to avoid having to replace your roof completely, it is wise to inspect your roof after any major storm. By utilizing these few simple tricks to see if you have hail damage, you could save yourself a ton of money in the long run. Knowing how to spot hail damage on a roof is essential as a homeowner or business owner. Think you have hail damage, but want a professional opinion? Call Elite Roofing and Consulting today for an honest and in-depth roof inspection.